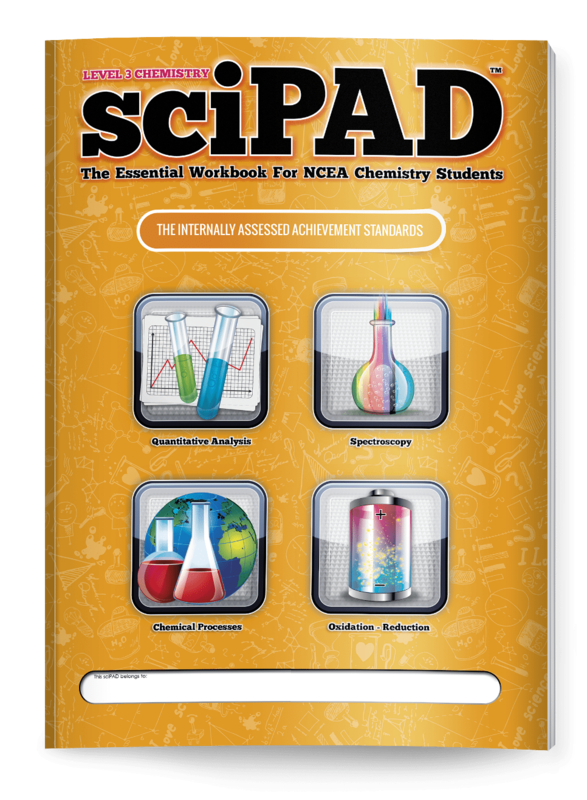 New to the sciPAD family for 2016, the Level 3 Chemistry internal workbook is the ultimate companion for your teaching and assessment programme. 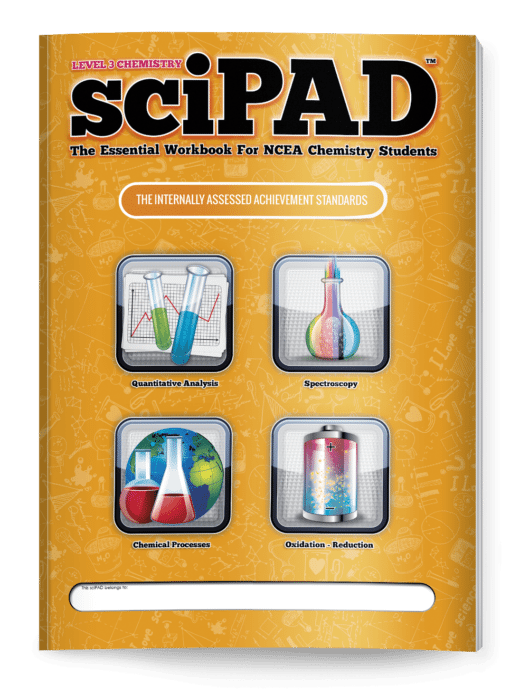 Regardless of whether your topics are assessed by written tests, reports or experiments, this sciPAD is designed to build confidence in your students. A carefully constructed visual format with clear, easy to follow diagrams that don’t overwhelm the reader. 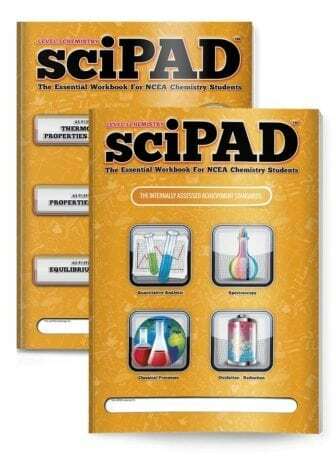 Pages are not loaded with superfluous information and chemical concepts are presented using language students can easily understand. Each chapter covers one of the four internally assessed Achievement Standards (3.1, 3.2, 3.3, and 3.7). Chapters are divided into manageable sections. Learning objectives are clearly specified at the start of each section. Comprehensive notes and activities are designed to develop the student's understanding in a supportive manner. 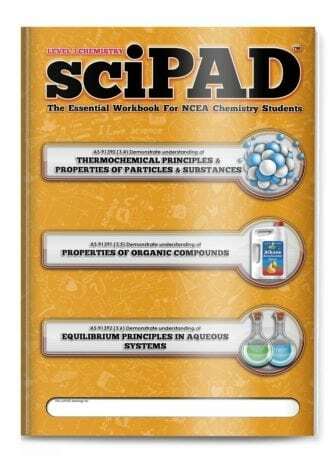 Chemical concepts are presented using language students can easily understand. Complex concepts are broken-down in a stepwise manner. Tried and tested practical investigations are included. Free downloadable digital versions and answers are provided to use on smart boards or through data projectors. 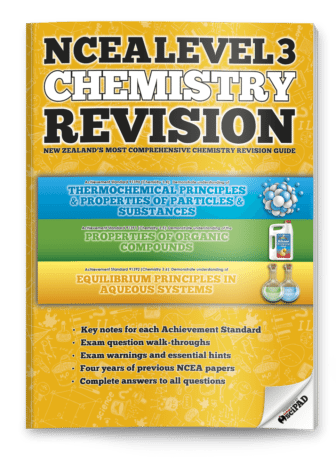 Downloadable digital versions and answers are provided for use on smart boards or through data projectors. 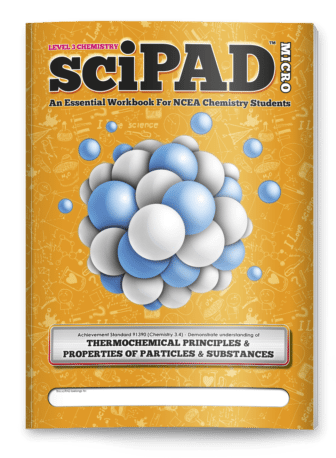 At 96 pages you won't find a more comprehensive, exciting, or engaging chemistry workbook for your students. If your school is a not an existing customer of Silverback Academic media you can register a new account with us here. Please click on the button below to apply now.